We arrived at the design of this unusual table through a creative process with the client, in which we developed a process that we have never seen before. 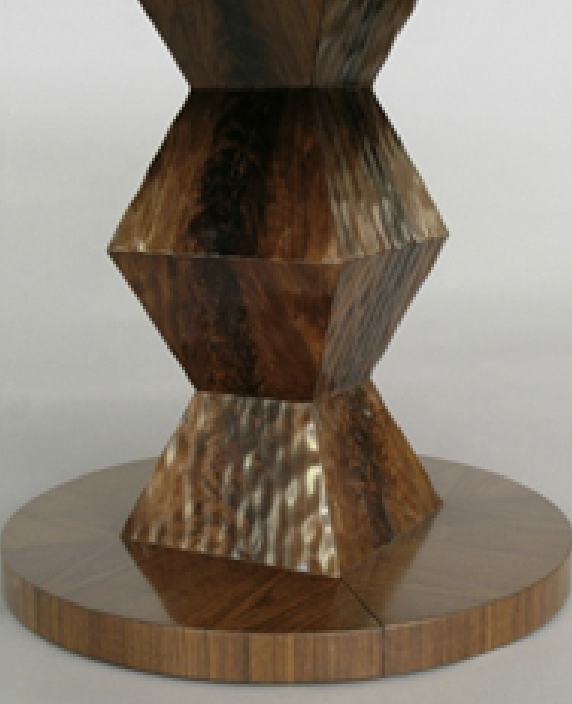 It featured a crotch walnut veneered Brancusi inspired pedestal that was hand-carved prior to veneering, giving it textural intrigue as well as the crotch figure. The 60” round top opens to accept three 24” leaves, making the open length a full 132”.